If you ask a layperson what company produces the best high-end headphones, nine times out of ten, the answer would be Sennheiser. 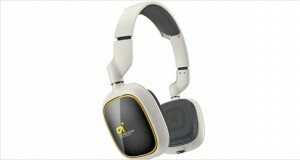 The company is renowned for producing gorgeously built headphones that deliver great quality sound to your ears. It’s hardly surprising then that our quest for the best over ear headphones has brought us in front of the Sennheiser PXC 450 Headphones. 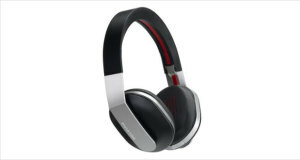 These are one of the best noise cancelling headphones available to buy today, and while they are a tad bit expensive, they are well worth the money you spend on them if you like to isolate yourself from any outside sound. Yes, these headphones come with an Active Noise Cancelling feature that filters out the noise from the outside electronically and feeds your ears only the music from the cans themselves. The rich quality of sound from Sennheiser is kept intact, however, and these headphones provide gorgeous sound with a rich bass and mids that nicely complement the sparkly highs. However, the sound is very dependent on the battery, as the cups do not provide enough cover to block the external noise without the NoiseGuard technology. The PXC 450 is built like a tank, a gorgeous futuristic tank. The cups swivel and settle into a comfortable fit while the headphones themselves can be folded down to travel size to take with you wherever you wish to go. The comfortable ear pads block unwanted noise passively but it takes the NoiseGuard to help you understand just how well these ‘phones are. Dimensions9 x 5 x 10"
Excellent Sennheiser build quality with top grade materials. Very soft ear pads that sit gently on the ears, but the pressure from the cans themselves may be uncomfortable for some people. Sparkly highs with warm tones that are very comfortably. Very well defined mids that are easy on the ears. Deep rumbling bass that may lack definition but are quite well suited for the travel prosumer. NoiseGuard technology manages to reduce almost 90% of the ambient noise and is almost magical in its operation. 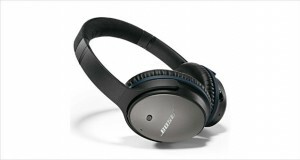 Excellent overall performance for those who want a great travel set of noise cancelling headphones. The Sennheiser PXC 450 Headphones pack quite a hefty noise cancelling punch, and for the sheer performance itself it is worth the asking price. The sound is well balanced and the battery life is long enough for a transatlantic flight. 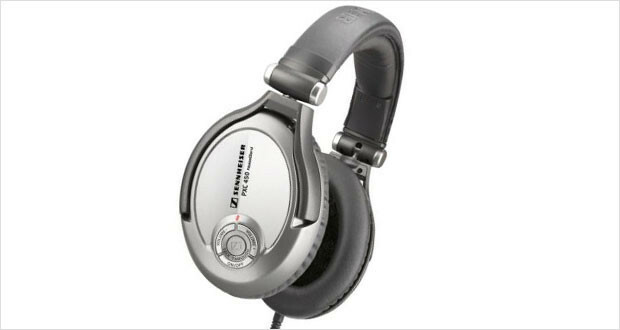 It may just be one of the best noise canceling headphones for the long haul, especially if you have the cash to pay for it. As always, there are better fish in the ocean but not many that come close to the price-to-performance ratio of this one.